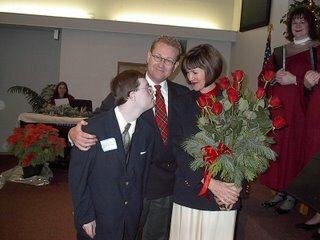 After a lot of conversations lately where I needed to explain how Billy Ray perceives things, how he needs to receive information and what he is unlikely to understand or accept, I remembered an article written by Susan M. LoTempio, "Service Station" an Oxymoron for Drivers with Disabilities. The article is written for journalists on the Poynter Institute website. I have been around people who experience various kinds of disabilities my entire life. My Aunt Bonnie is wheel chair bound and I assisted with her chair as soon as I was old enough to help. However, Aunt Bonnie never drove a car. When I read Sue’s article I was shocked at my own lack of understanding in this process. I never thought about things like not being able to reach the hose or receipt. The same principal applies in so many ways to the lack of understanding in the community whatever disability our children experience. That friend had been an airline attendant and was presently a musician and pastor’s wife. Her appearance was a major part of her life. They did not have children for her to draw on. It was really unfair for me to expect her to understand. As you can see by the picture with this friend they developed a very special relationship as she got the chance to know Billy Ray for who he is. “**decide how important it is for someone to understand and then prioritize the energy I will put into communicating to that person. If you meet a rude person in a store or restaurant, you might decide it is not worth it and ignore that person. If the person is a medical or special-education professional, put all the energy you can into determining the best method of communicating your child to them. That way, suggestions and decisions the professional makes regarding your child’s care will be informed decisions.” Excerpted from Parenting Your Complex Child. I think you have to ask yourself if it is logical for them to understand your child without education from you and whether it is that important in the grand scheme of life. If you want to read more on this topic, AMACOM has put the chapter quoted from as the sample chapter on their website.